A previous post introduced a new administration tool: Studio is born ! One component of Studio is the MapFile editor. You can have a look at a video introducing the MapFile editor.. It is also possible to test it live (create your own account with register function). 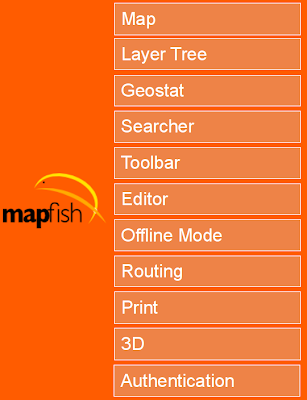 - A tool to generate MapFish sites, with view, edit, search and query capabilities. But, it is also possible to use Studio as a standalone tool, in order, for example, to edit MapFiles. Be warned: in order to fix Studio Beta, it is possible that the Studio demo site will be redeployed. In this case, your account / mapfiles will be deleted. If studio can load an existing -- usually not working ;-) -- mapfile and fill in the boxes, that would be a nice debugging help. Of course, starting a mapfile with the studio should avoid someone forgetting to set a symbol or something and wondering why the map doesn't show up. The trickiest part for me has always been the syntax of mapfile objects as a function of MapServer version (I saw 2 querymap syntaxes just recently while googling). Studio may fill what I consider an important integrator gap in the "C/Python" FOSS4G world: easy data configuration. Thanx for this great effort ! Nice work guys! Cool to see this coming together. I see that at least the MultiSlider widget comes from our Styler app. Guess we should put a license on that huh? Hope we find more places where we can share code.